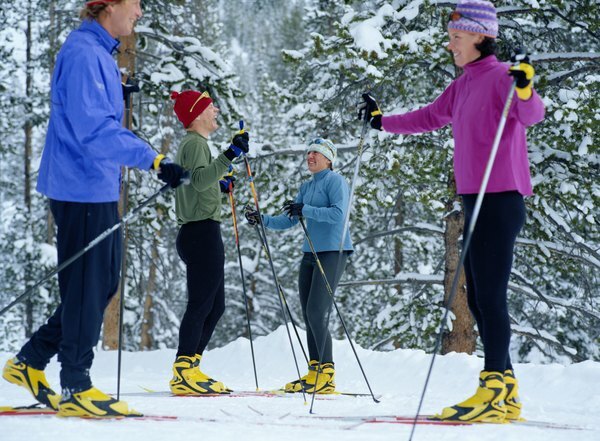 Cross-country skiers can enjoy the beautiful countryside. Compared to a ski racer blasting down the slopes or a ski jumper soaring into space, Nordic skiing, also commonly called cross-country skiing, is something of a blue-collar sport. It's a sport that you can enjoy with friends traversing the beautiful countryside; it's also conducive to fierce competition. 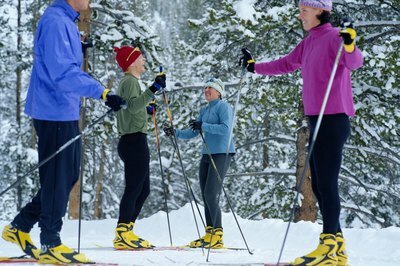 Cross-country skiing is an endurance sport, and because you can't train year-round in the snow if you live in temperate climates, you'll want to condition yourself on dry land during the off-season. What do you get when you combine roller skates and skis? Champions. Middlebury College in Vermont produced Olympic-caliber Nordic skiers in the early years of the 21st century, and a big part of their dryland training was on roller skis, which resemble short skis with two wheels. "Roller skis offer us the best training we can do without snow," Middlebury ski team coach Andrew Gardner says. "It's roughly the equivalent of working out on a stationary bike in the offseason for competitive cycling." In addition to frequent roller ski drills, the Middlebury team adds weightlifting and running to its dryland program. XC Ottawa emphasizes fundamental dryland drills designed to improve your stride length and form. All you need for these drills is a hill. The ski walking drill, without poles, requires you to walk the hill five times while attempting to cut down on the total number of strides you take. Lean into the hill with your ankles flexed and hips forward, but don't bend at the waist. Drive your knees quickly and swing your arms from the shoulders to simulate using poles. Ski striding, or bounding, uses hang time in the air to simulate a diagonal gliding stride. Plyometric drills are used by athletes in numerous sports to develop explosive power, which you'll need in Nordic skiing to tackle hills or sprint to the finish line. The drills are simple in concept but can be extremely grueling in practice. You might want to get in touch with your inner rabbit or kangaroo for the hopping and bounding many of these exercises require. XC Ottawa recommends one-leg hops, two-leg hops and skater bounds, all of which require you to explode into a hop or bound, land softly and immediately continue to hop or bound up the hill. Another extremely demanding dryland drill is to drag a tire up a hill while ski walking or bounding. 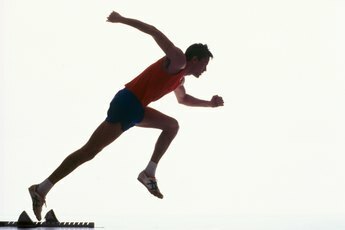 Dryland drills can test your fitness level to the max. You'll need a basic level of strength and conditioning before moving up to more demanding plyometric exercises and tire drags. Otherwise, XC Ottawa cautions that these drills can easily injure muscles and bones. On the bright side, after you're established a decent level of strength and fitness, plyometric drills can help prevent injury by improving your balance. So start out gradually and emphasize correct form over number of reps. Then you'll be ready to play in the snow when the season starts.